Jon was part of the initial launch team that started Threads back in the late 90’s. Jon met his wife Melissa as students at WMU. They have an active toddler named Eli. 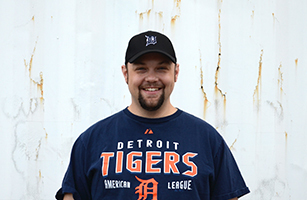 Jon is a music enthusiast who serves on the worship and tech teams at Threads, as well as a computer tech / geek who works as a Database Specialist at Facilities Management at WMU. He is a licensed HAM radio operator and volunteers with the Kalamazoo County Radio Amateur Civil Emergency Service as a storm spotter. You may or may not find an official Lost hatch in his basement.